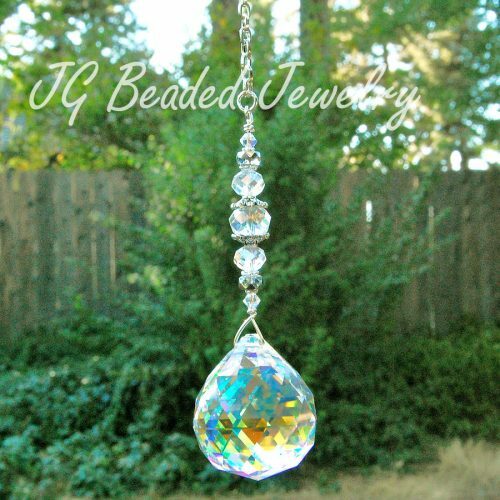 This Swarovski rainbow crystal heart is perfect for the rearview mirror, in a window, as an ornament or anywhere you choose! This brilliantly colored, flawless and precision cut two-sided colorful Swarovski hanging rainbow crystal heart has a metallic oil slick rainbow color on one side and a beautiful black diamond (elegant grayish color) the other! 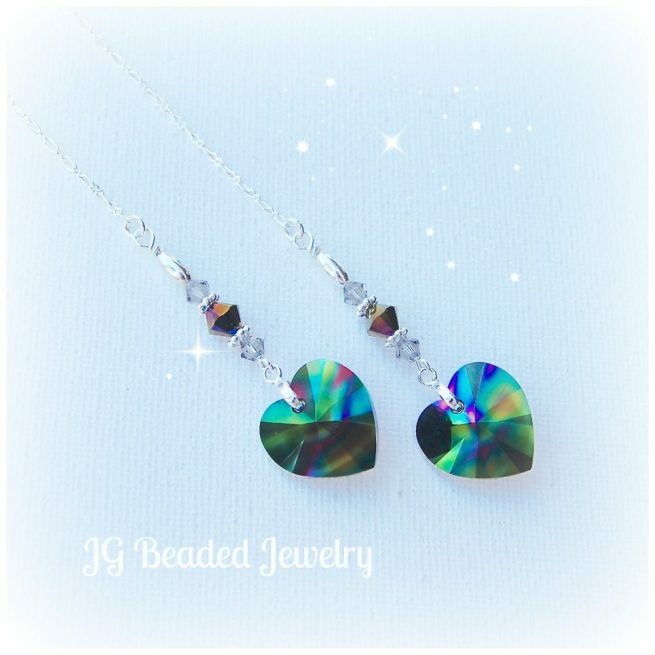 Every heart is uniquely colored and glamorous! 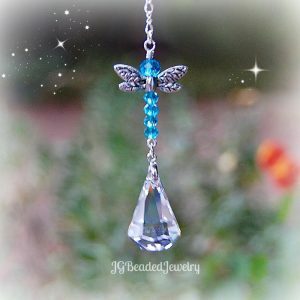 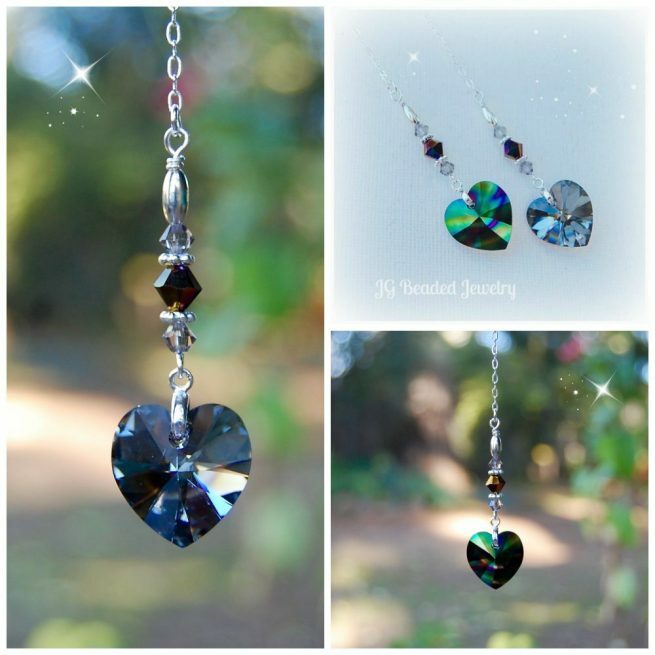 The Swarovski heart measures 18mm and hangs on a silver bail with black diamond and dark rainbow Swarovski crystals along with fancy silver metal beads. 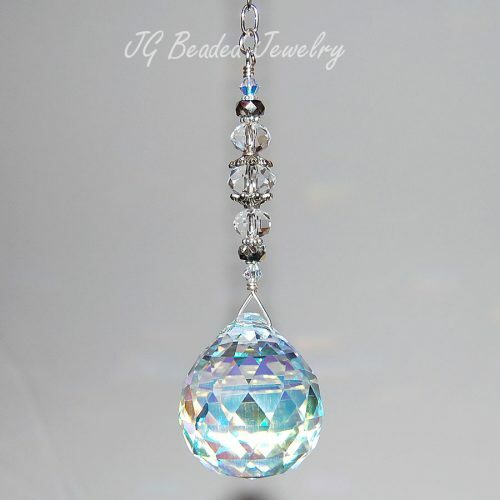 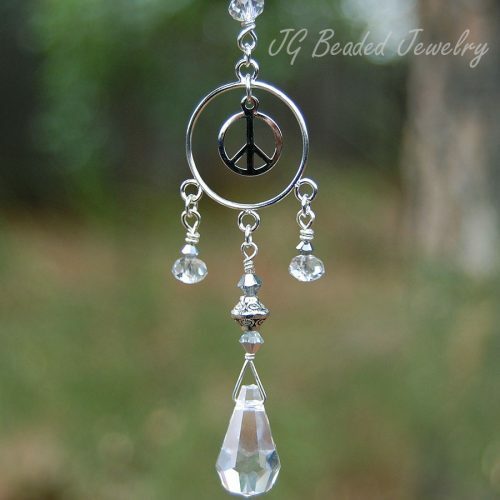 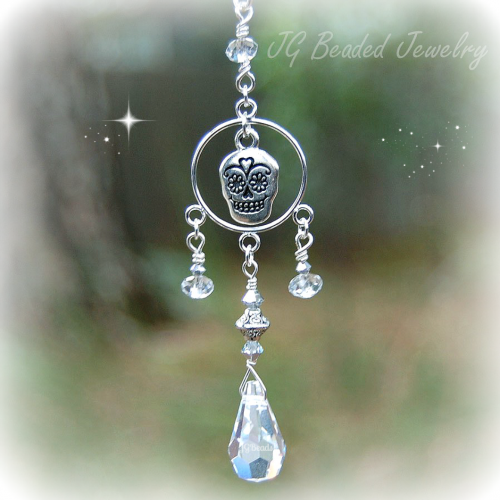 2) Home Decor – 6″ chain with ring for ease of hanging wherever you choose!